Stainless steel components are highly resistant to corrosion, so are favoured in environments that are wet, salty, corrosive, or otherwise challenging. They are an absolute must in many fields of engineering including medical and pharmaceutical, where hygiene must be maintained to a high standard; food and beverage, where washdowns are frequent; marine and shoreside, where water and salt are constants; and chemical and acid environments, where corrosive materials and atmospheres abound. WDS offers stainless steel versions of many of the components that it supplies to machine and equipment builders across the UK and around the world. 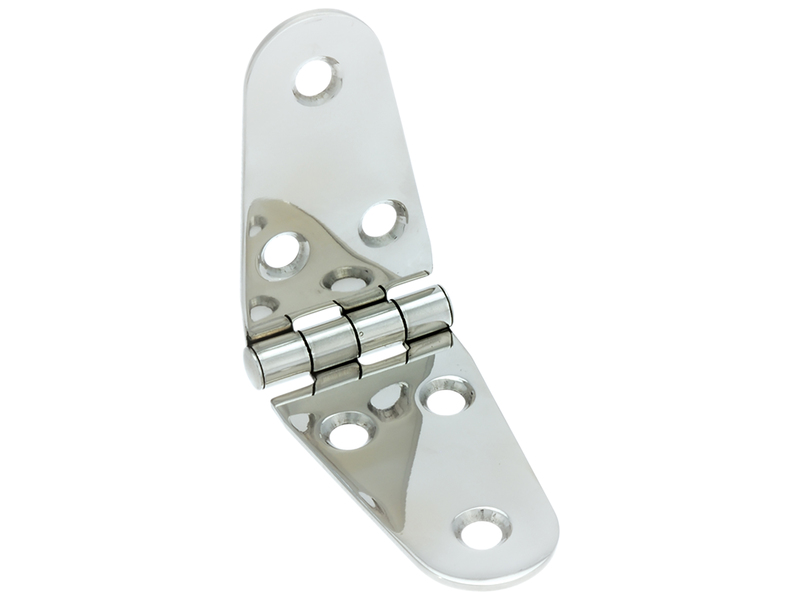 Wherever possible it offers stainless steel versions of its most popular components. Handwheels are one example where stainless steel is very popular. Because people have physical contact with handwheels they can be a collection point for bacteria, which is an important issue for food and drink processing equipment, pharmaceutical production and medical equipment. They are also popular for harsh and extreme environments where plain steel would corrode; they are even preferred in mildly demanding applications where unsightly rust staining may occur. 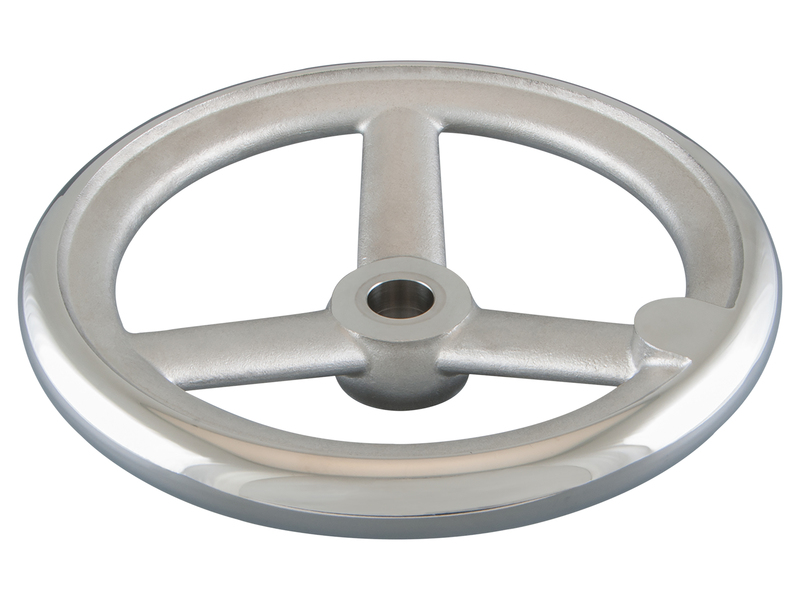 Other advantages of stainless steel handwheels include aesthetic appeal and being smooth to touch. 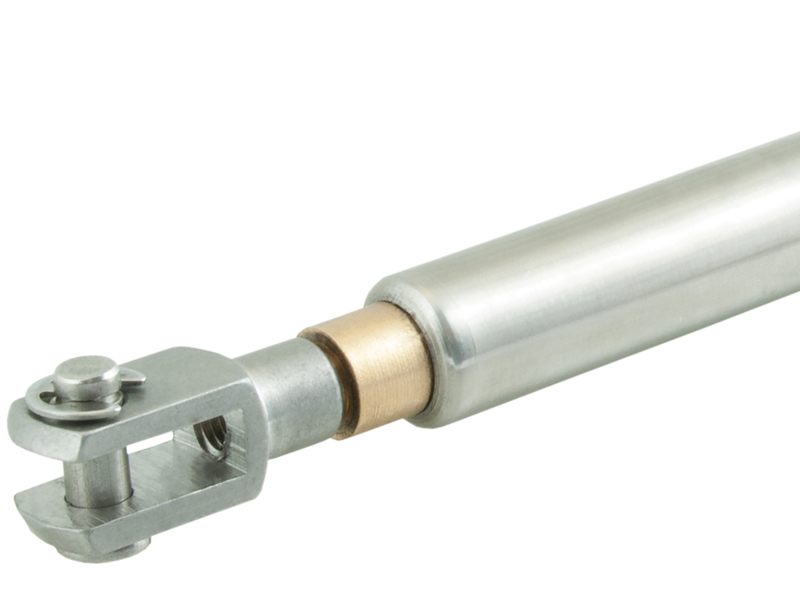 For some components, such as gas struts, WDS marries stainless steel with brass, aluminium and other non-corroding alloys - as well as with high performance engineering polymers - to create sophisticated solutions for demanding requirements. A common use for gas struts is to hold open hoods, lids and access doors and prevent them from slamming shut. Many such installations are outdoors, where stainless steel can withstand whatever the weather brings. Indoors, hoods and lids are often used on machinery and equipment where they are subjected to a hostile environment due to the presence of harmful materials or flying oil; so again, stainless steel struts are favoured. At floor level, many environments can be a bit more challenging when maintaining hygiene is important. Dirt, dust and other materials will naturally tend to fall to floor level, so castors often have to be able to contend with harsher conditions than the equipment they are supporting. Thus, it is not surprising that many OEMs specify stainless steel castors for many of their designs; they will be more hygienic, less likely to suffer corrosion problems and allow robust washdown of the equipment above. In all cases WDS’s developments are market-led – if customers flag up a desire for a new product or a new variation on an existing product, WDS will try to help. Common requests include enquiries for non-corroding versions of pins, studs, hinges, handwheels, bolts and locks. These can be intended for use on virtually anything from gardening equipment to boating and camping accessories, catering equipment, medical aids and healthcare equipment, and industrial and commercial machinery. In keeping with WDS’s philosophy of rapid delivery, its stainless steel parts are nearly all available for overnight despatch. As such they can be in the hands of potential users within hours of the order being placed. Image 1: Handwheels are one example where stainless steel is very popular. Image 2: WDS offers stainless steel versions of many of the components that it supplies to machine and equipment builders across the UK and around the world. Image 3: For some components, such as gas struts, WDS marries stainless steel with brass, aluminium and other non-corroding alloys.